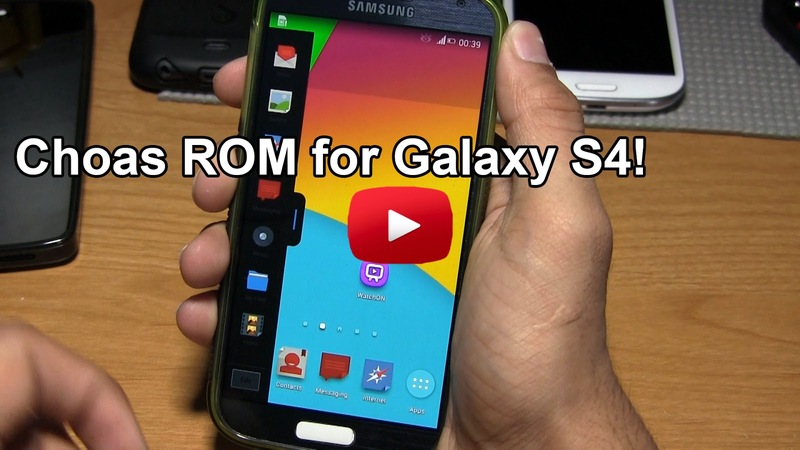 Chaos ROM for Galaxy S4! GT-i9505/T-Mobile/AT&T/Canadian ~ AndroidRootz.com | Source for Android Rooting, ROMS, Tricks and More! Chaos ROM for the Galaxy S4 GT-i9505, T-Mobile, AT&T, and Canadian variants comes with Aroma Installer and tons of features! All within Aroma Installer you have so many options ranging from which bloatware apps you want to install to an option if you want to enable CRT screen animation. This ROM also gives you options if you want want to add themes to select parts of your phone, which app you want to install from the Sony Xperia, MIUI, and Samsung apps line up! This ROM also comes with the Galaxy Note 3 keyboard and camera. Choas ROM is a solid ROM that is built off of Samsung's Touchwiz, but you have the option to make it look like an AOSP ROM if you want. Choas ROM is just packed with goodies for you to pick and choose for your Galaxy S4 device! 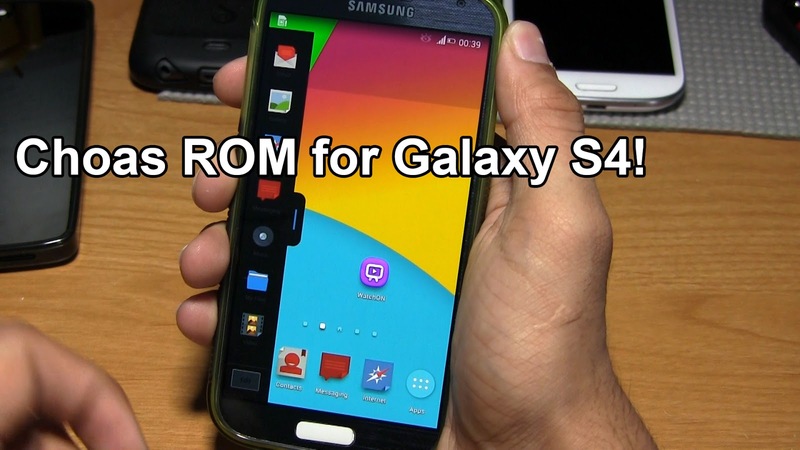 Download Choas ROM for Galaxy S4 GT-i9505, T-Mobile, AT&T, and Canadian variants using the link below!